WINNER: The winners will be randomly chosen from comments received on DT member blogs. The winners will be announced on the CDS blog Thursday, February 21st. Fun hop. This BEE really really wants to win the BEE Bumbles digis. Please, please pick me. That was the fastest month! Very cute cards again this time. Thanks team. Can not wait to see all the creations. 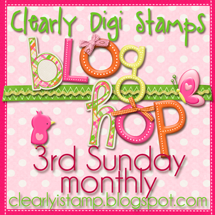 Great blog hop...darling stamp sets along the way! FYI..Lisa's post would not allow me to comment..seems she's having a bit of trouble with it!! Thanks! What a fun hop, filled with lots of ideas for cards that I need the most! Thanks to the design team for all the inspiration. Simply awesome! Great hop. I liked all the cards and the sets used were great. I don't have a favorite, but if I absolutely had to vote...well, I would have to cast my vote for all of them.